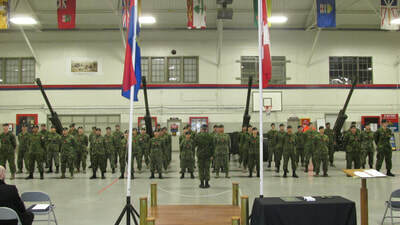 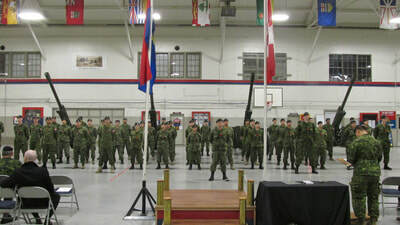 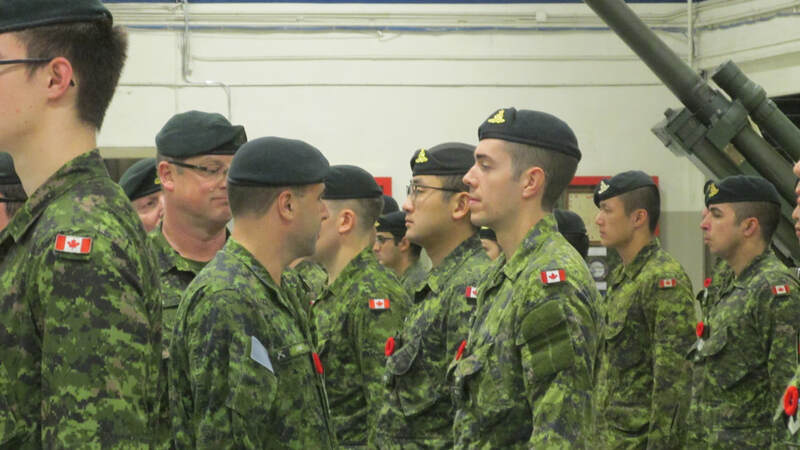 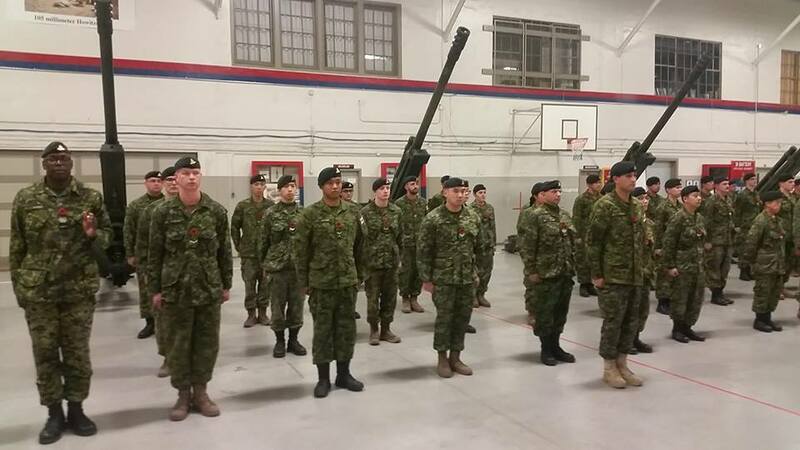 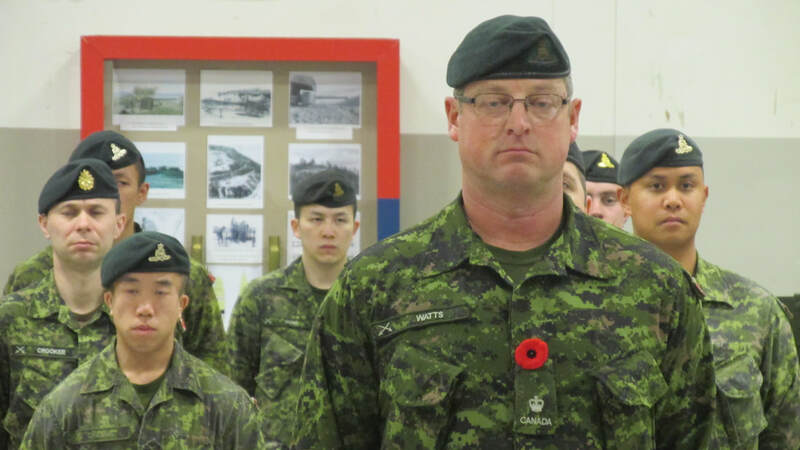 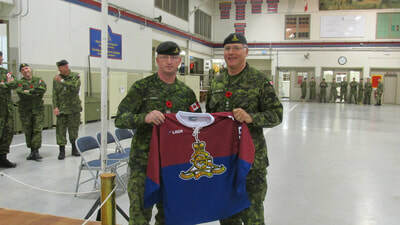 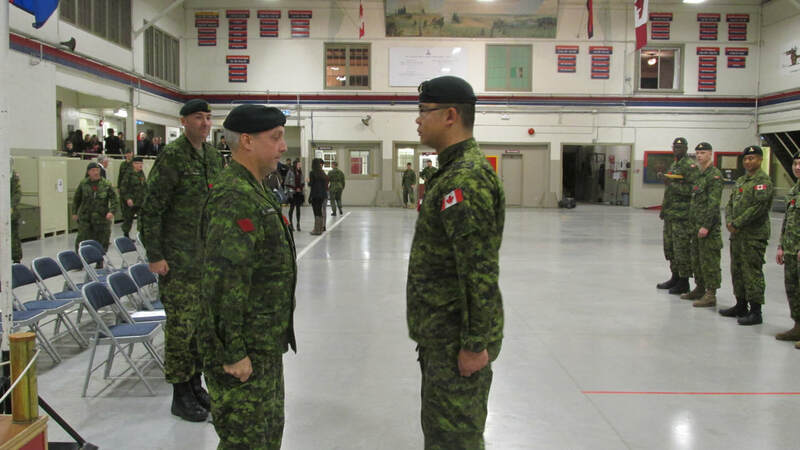 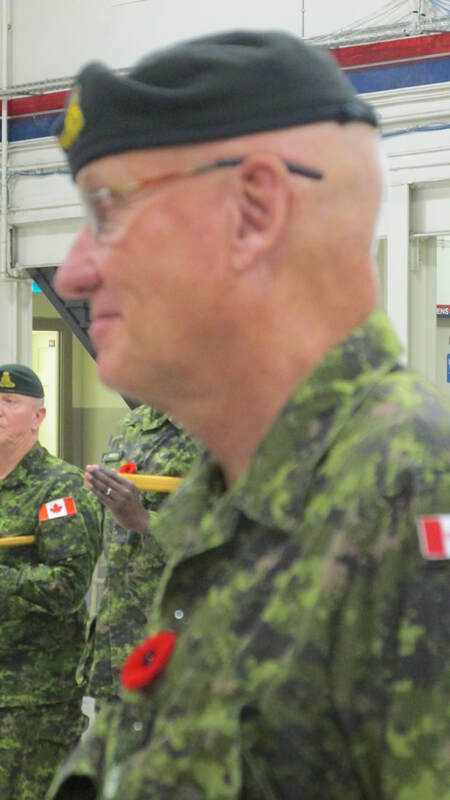 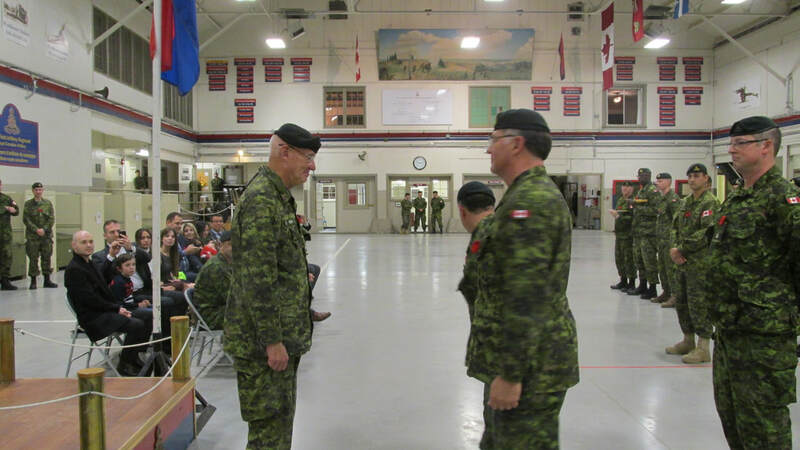 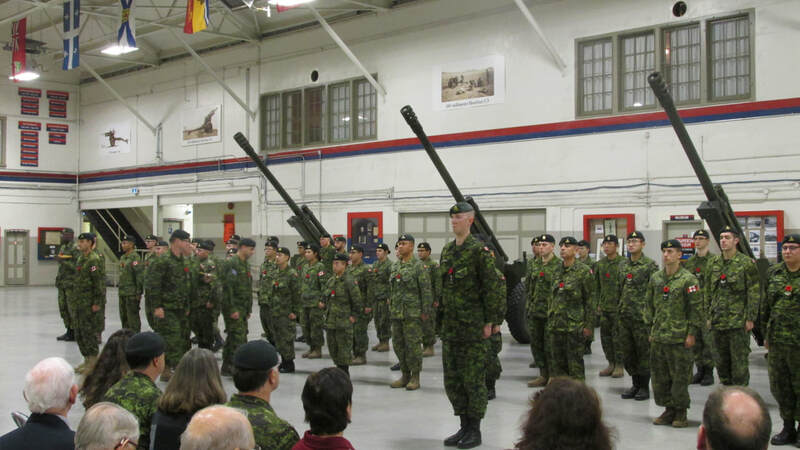 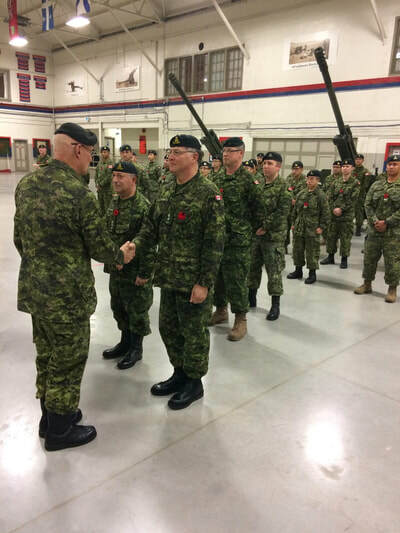 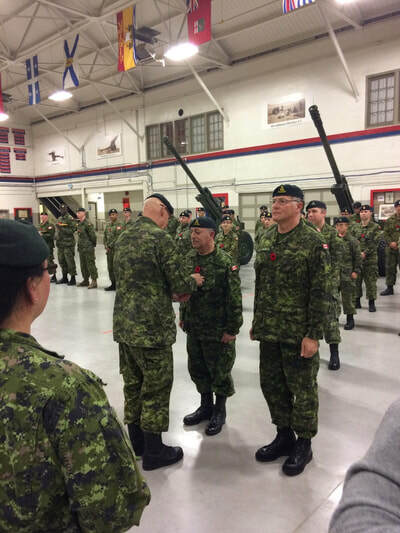 Wednesday, 9 November witnessed the stand down of Honorary Colonel Bill Rodgers after six years with the Regiment. 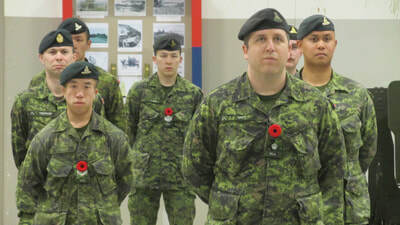 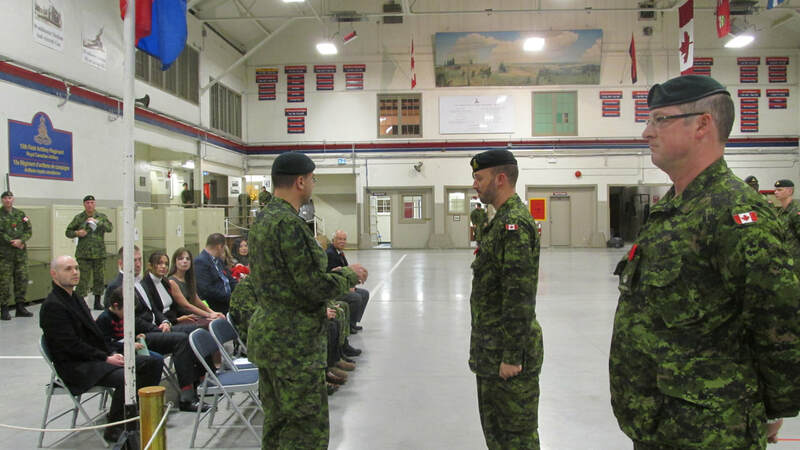 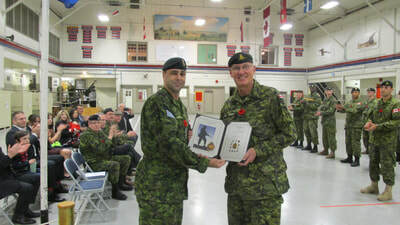 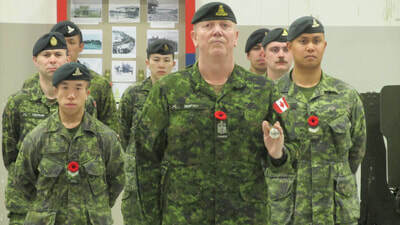 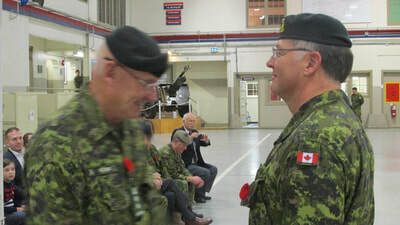 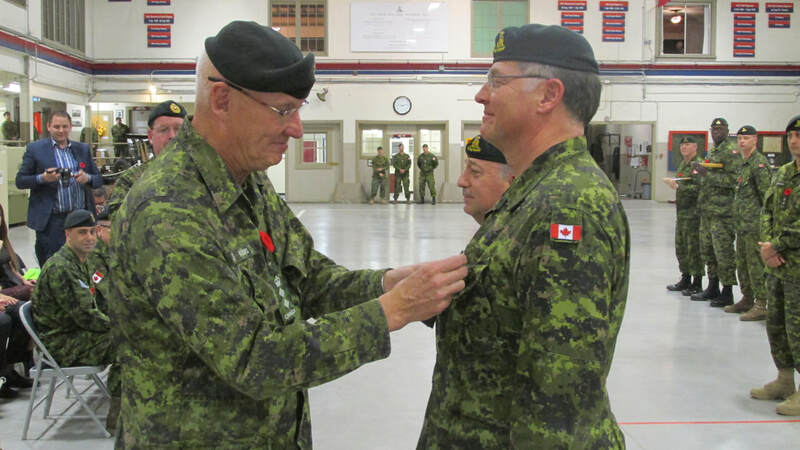 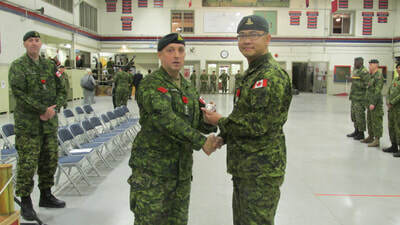 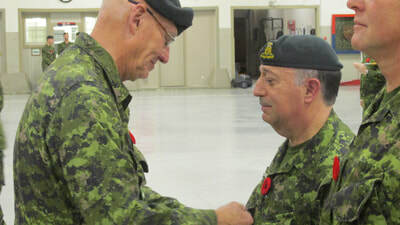 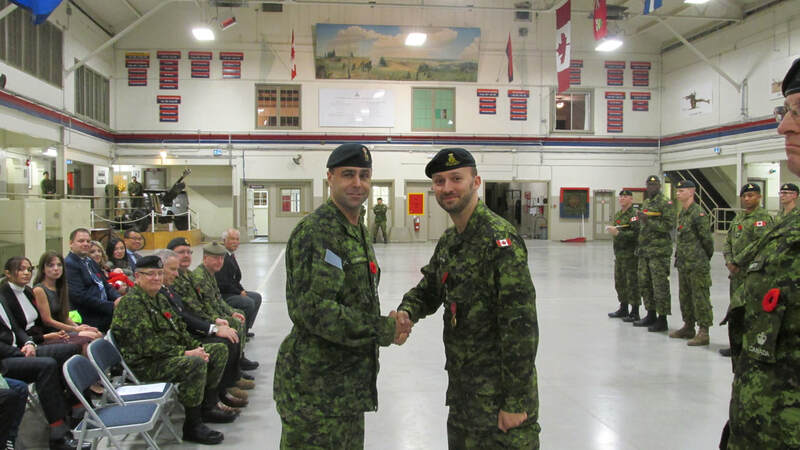 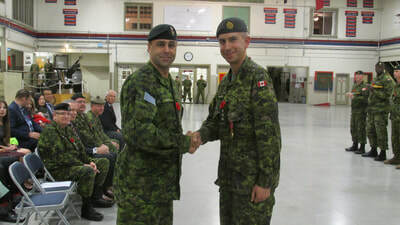 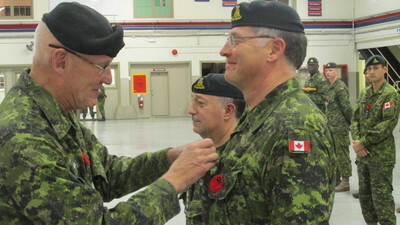 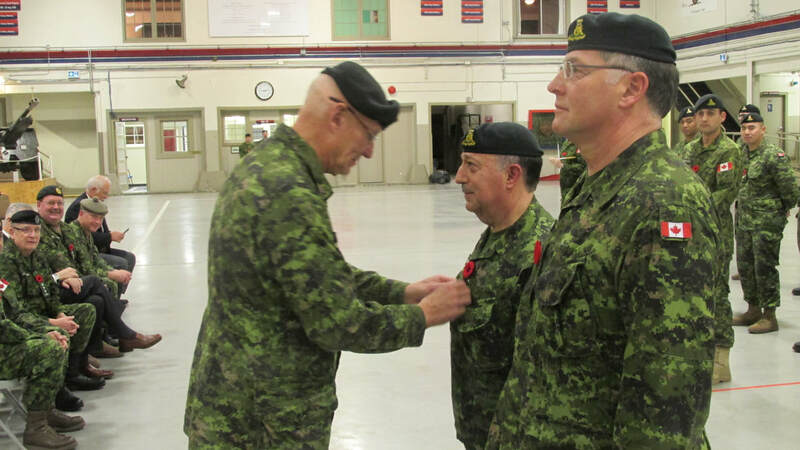 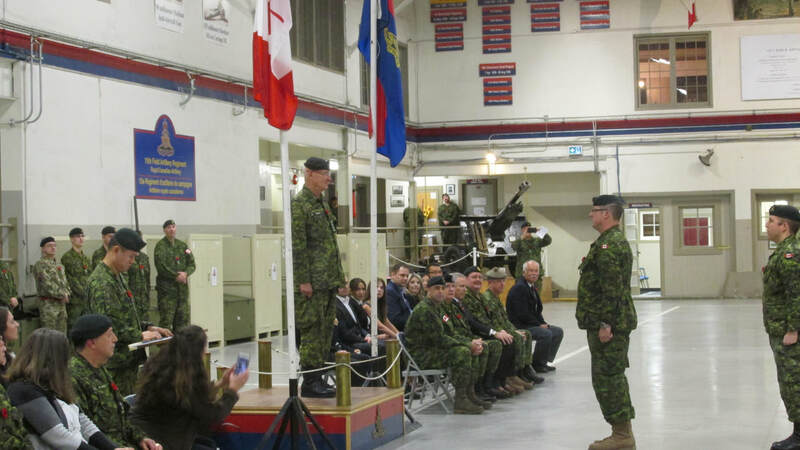 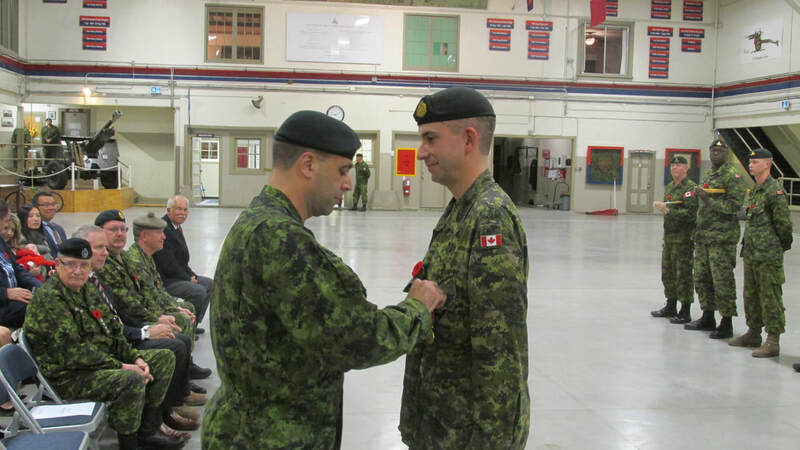 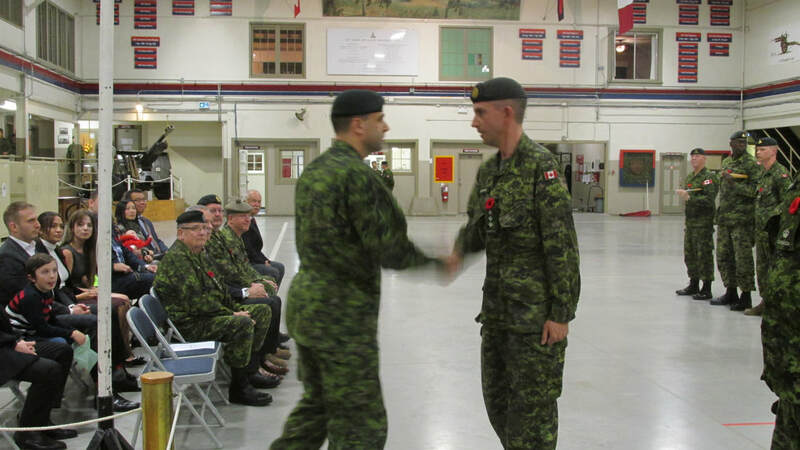 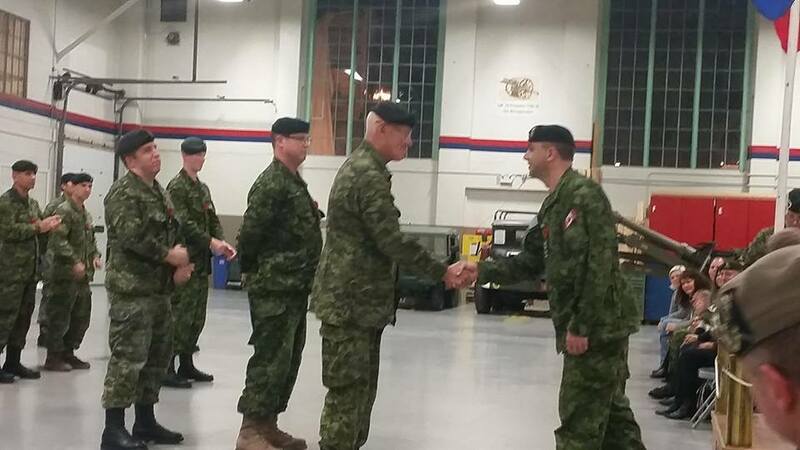 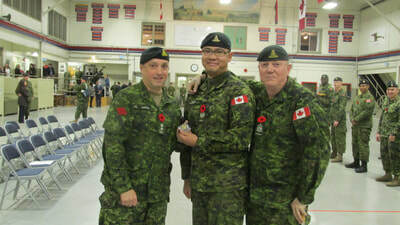 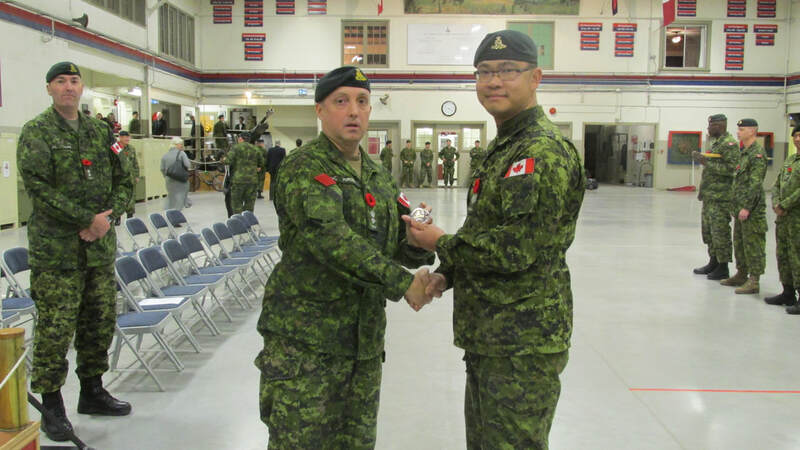 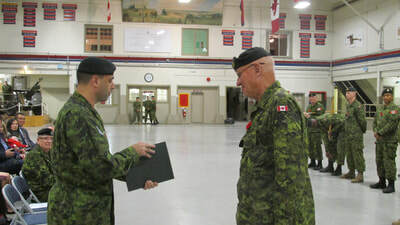 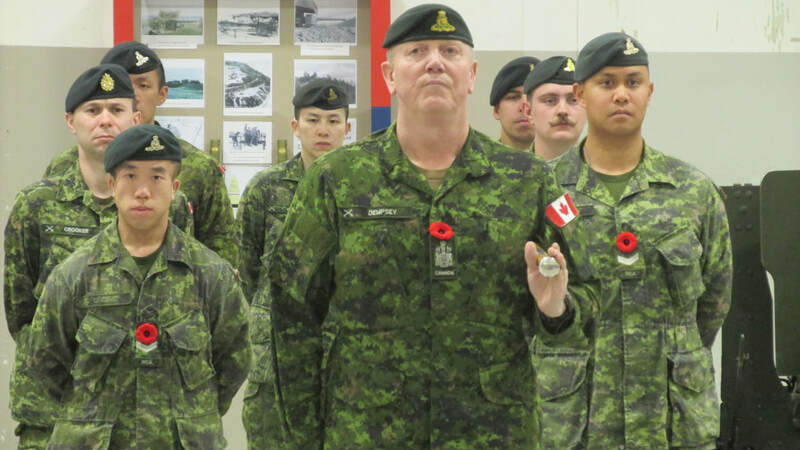 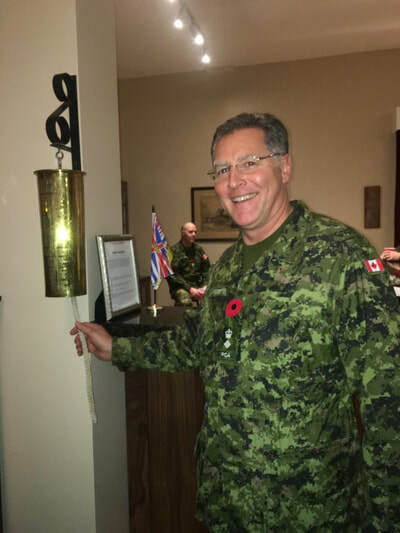 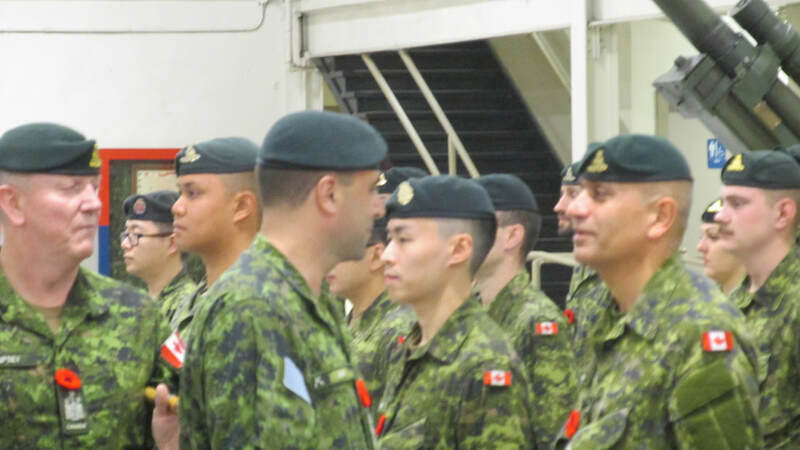 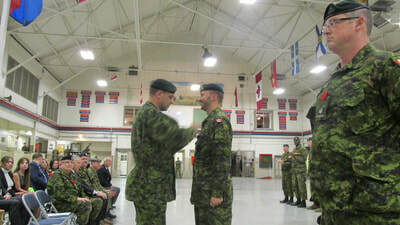 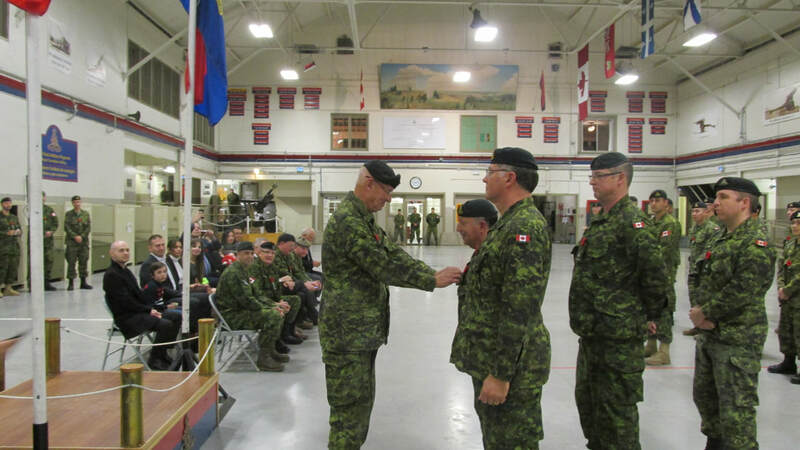 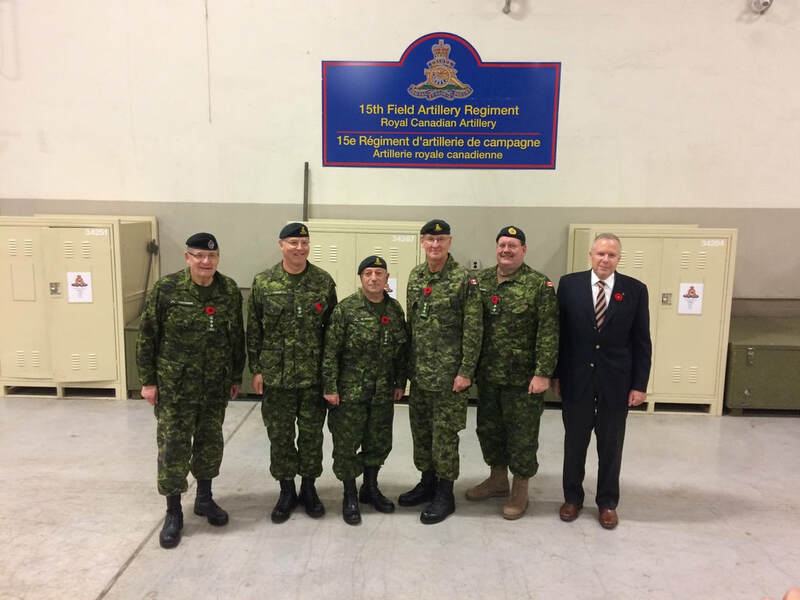 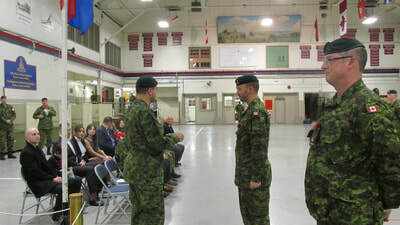 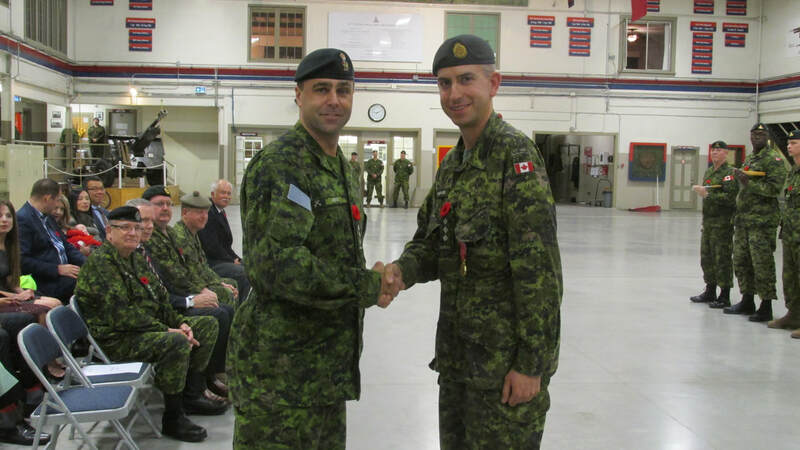 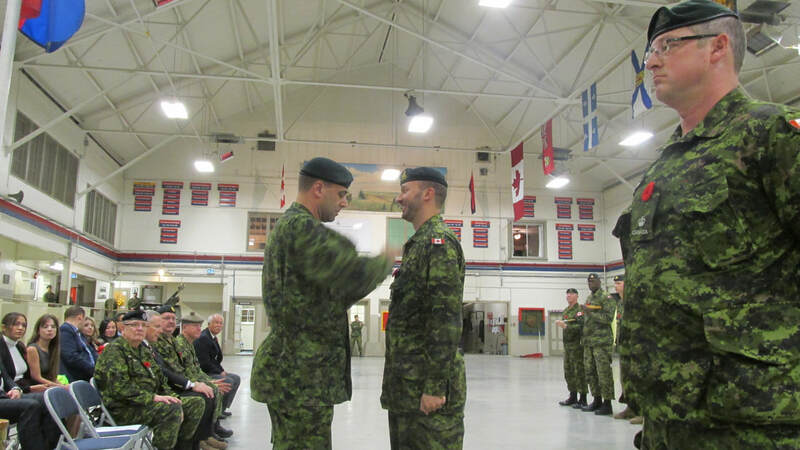 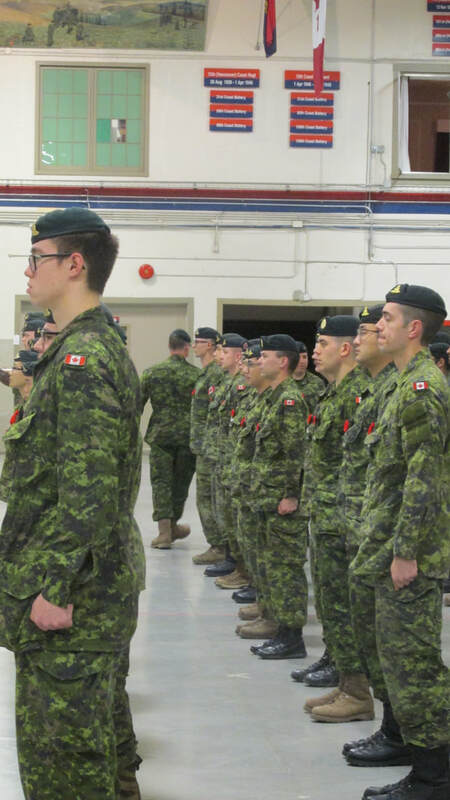 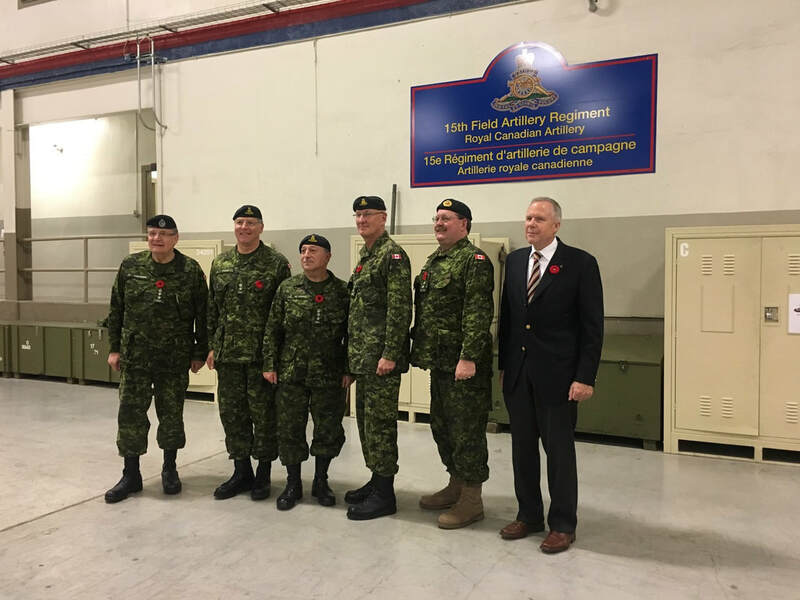 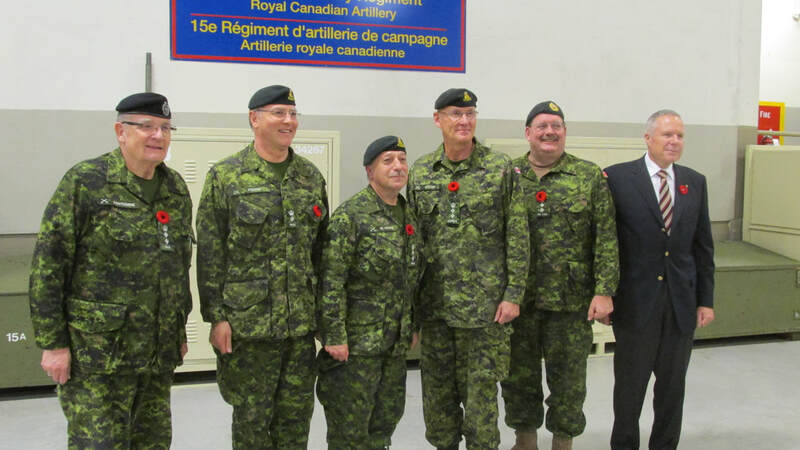 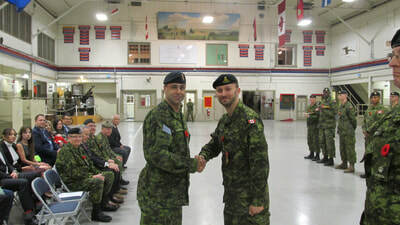 Al DeGenova was promoted to Honorary Colonel and Don Foster was taken on strength as the new Honorary Lieutenant-Colonel. We would like to extend our best wishes to Bill Rodgers on his future endeavours and remind him that "Once a Gunner, always a Gunner," you will always be a member of the Vancouver Gunners. 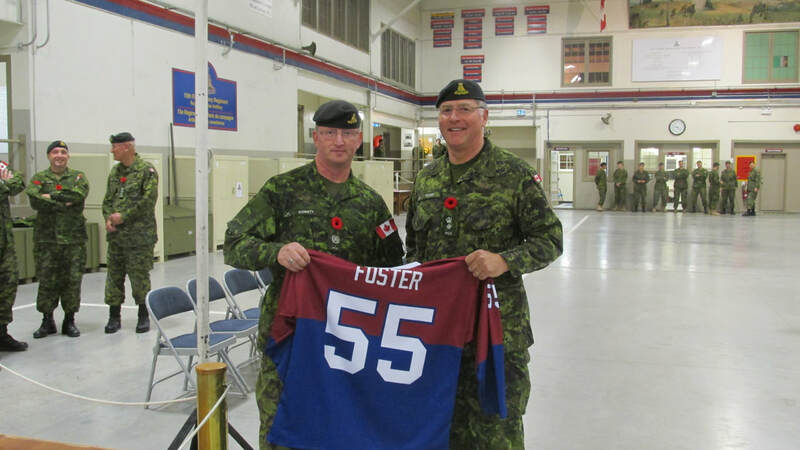 To Don Foster, welcome aboard! 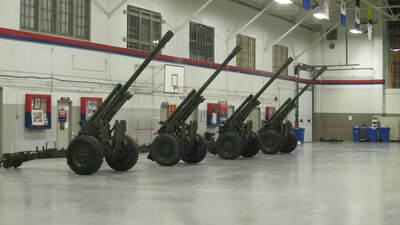 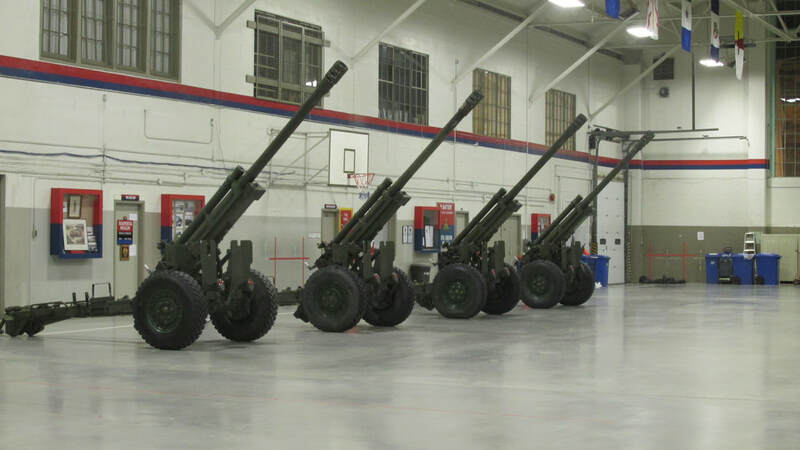 You arrive with a storehouse of artillery knowledge and military history that we look forward to sharing. 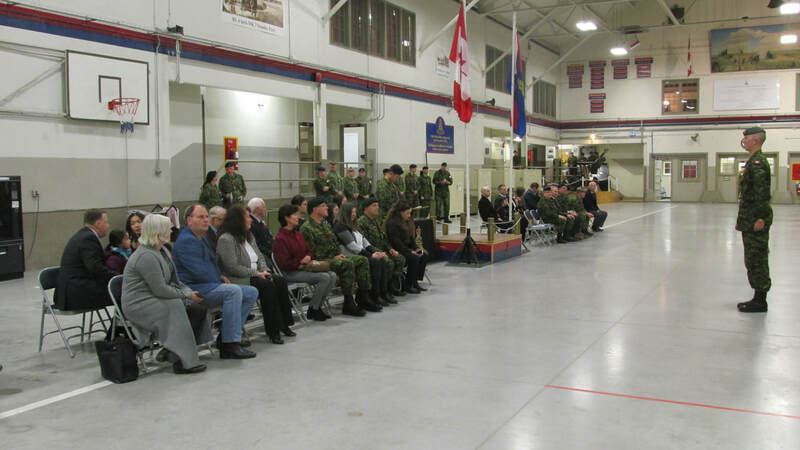 Don's father was a member of the 43rd Battery, 12th Field Regiment who landed on D-Day, 6 June 1944. 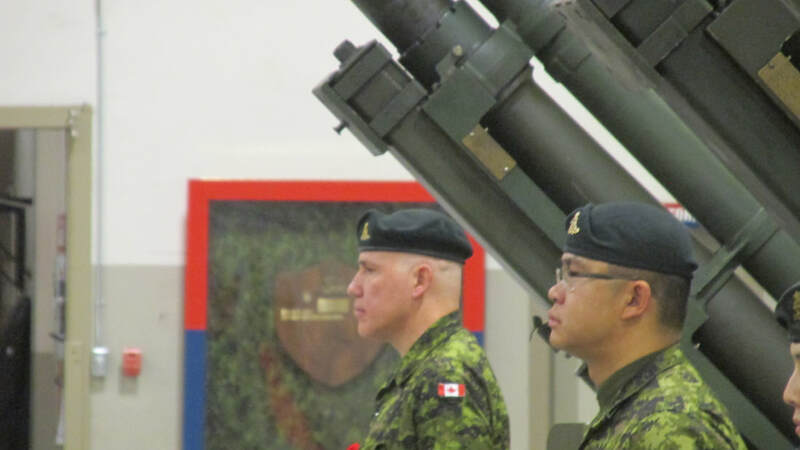 He is also a Director of the Juno Beach Centre which commemorates that historic event.